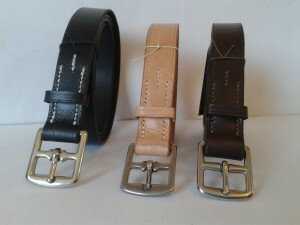 Handstitched leather belts, made to measure. Available in a variety of colours. CHECK OUT COLLARS in "OTHER"
I got the music case today - it is lovely. Thank you. Another thumbs up for Nicola Watson. 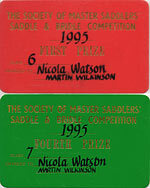 She is a Master Saddler and is also a sidesaddle rider and competitor. 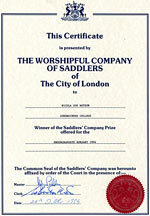 It really helps if the saddler understands the requirements of sidesaddle riding. Site by c21web and Nicola Watson.